10 FREE Family-Friendly Things to Do this Summer! Summertime is flying by for me. I was just thinking of all the things I planned to do this summer with my family–and, yikes! Where have the weeks gone? As I went over my list, I thought about sharing some of the great events right here in Central MA that are free! Perhaps we’ll see you there! #1 Take a Horse Drawn Carriage Ride in the Canal District of Worcester on a Thursday night through 8/23. Learn about the history of South Worcester from South High student guides. 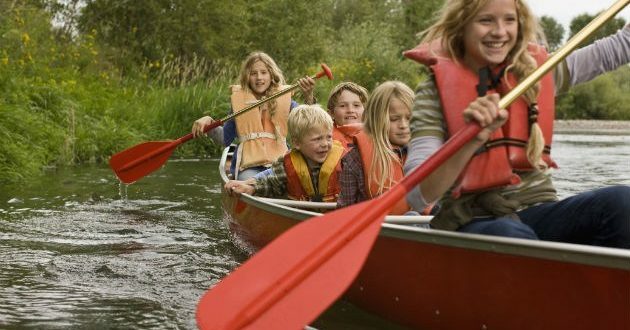 #4 Go Canoeing at Green Hill Park Pond (Fridays 2-5pm). Canoes provided. Through 8/17. #5 Visit Discovery Museum on a Friday Night through 8/31. Yes! It’s free! #6 Catch a summer concert at Pinecroft Dairy on the lawn on a Sat/Sun evening. Concert is free. $$ for ice cream. #8 Enjoy Dean Park in Shrewsbury. Great playground, picnic areas, walking trails and of course the fountain shows! Don’t miss the shows this year! #9 Visit Tower Hill on a Thursday after 3pm. The whole family will enjoy the trails, scavenger hunts, activities for kids. If you’ve never been, this is the time to try it out! #10 Go see a movie in the park. Many towns offer them, and they are listed on our calendar. Nikitas Field in Fitchburg offers them each Friday night. For more ideas, see our popular calendar of events. New events are added daily! Previous PostFind your way through the Sunflower Maze at the Sunflower Festival on 7/28 & 29! Next PostBookworm Wednesdays! Free movies every Wednesday at Showcase Cinemas!